Making these is so easy that I feel a bit foolish even posting a recipe. They’re super good, though they’d probably be even better deep-fried. That, of course, makes them not particularly good for you, and a pain to clean up after cooking. I think I may have made these with yams once, and they turned out mostly the same. So, try that, if you’re into yams, which, strangely, my wife is not, though she’s a veggie lover. One thing I may try next time with these is pre-blanching them for a bit before the oil coating to see if they crisp up even faster. Peel the potatoes and cut them in half, lengthwise. 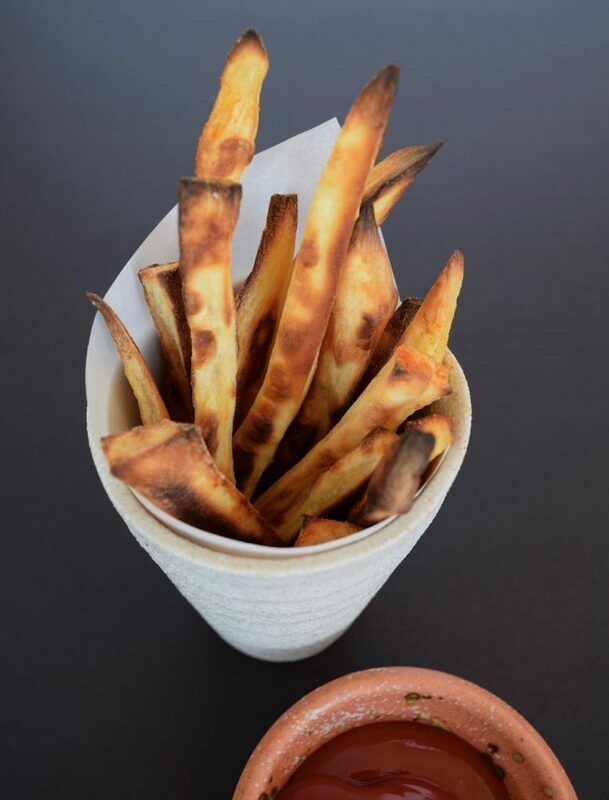 Put the flat sides down on your cutting board and cut into 1/4- to 1/3-inch slices, then cut these slices into French-fry shaped strips, about the same width. One thing that you’ll notice in the photos is that the tapered ends of the fries tend to get more browned. To avoid this, just cut off the tapered parts. I’ll probably do that next time. Put a tablespoon or so of oil in a sealable freezer bag (or something), add the potatoes and gently shake the back until all sides of the fries are oiled. 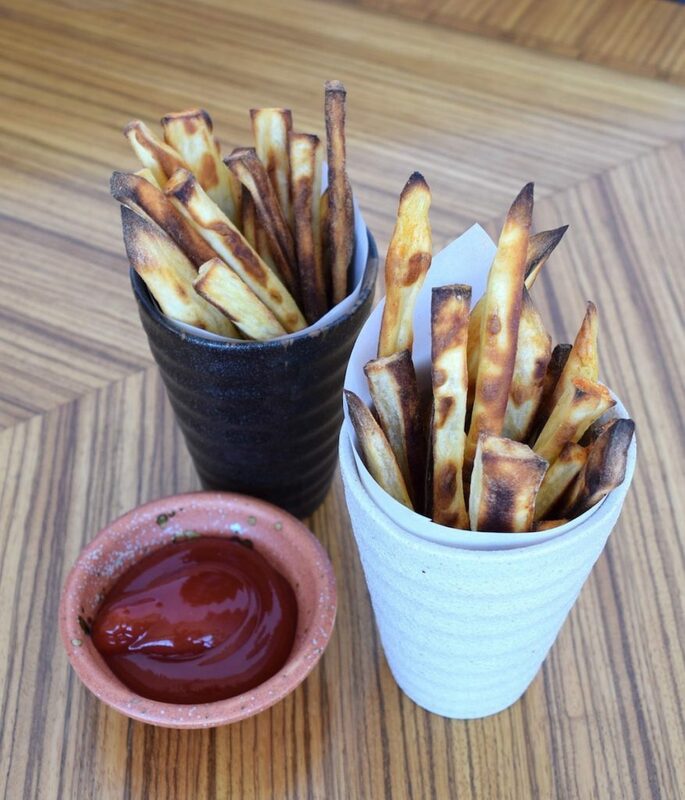 Dump the fries onto a baking pan. I made two batches of these, and the ones in a silver, aluminum pan became browned quicker than the other batch in a crappy, dark-colored pan. Sprinkle liberally with spices and put the fries in the oven. Cook for about 20 minutes, turning them every 7 minutes (if you’re patient enough to do that). After 20 minutes, keep an eye on them so they don’t get too browned. Let them cook for a few minutes after they’re done. You’ll love ‘em.